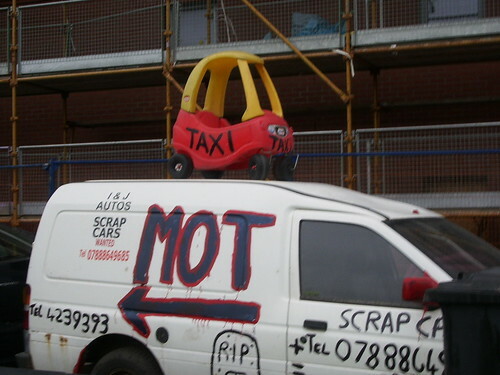 If anyone in the Govanhill area is in need of a taxi, perhaps consider this little fella. Providing you don’t mind it being a bit squashed, and aren’t in a great hurry that is! 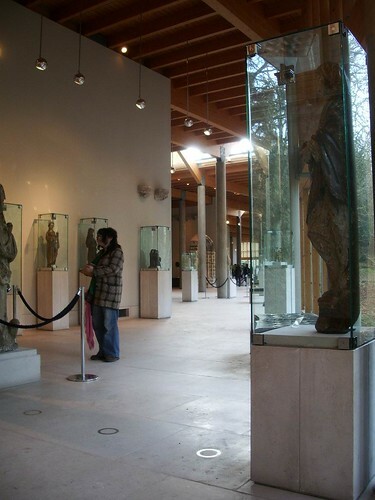 My final picture from the Burrell Collection illustrates the point I made in the first one, that the building incorporates elements of the collection in its very fabric. So a number of the entrances to different rooms are made up of ancient stone archways, and this shows a number of windows set into the walls in such a way that several can be seen at once. The actual building is maybe as striking as the collection itself – I loved the high beamed ceilings and natural light from floor to ceiling windows. Also in the picture is a woman who was sketching some of the exhibits. I must admit I peeked over her shoulder (I don’t think she realised) and I was really impressed. I do a bit of drawing occasionally, but I haven’t a clue what I’m doing really, whereas she looked like she actually had some skill! 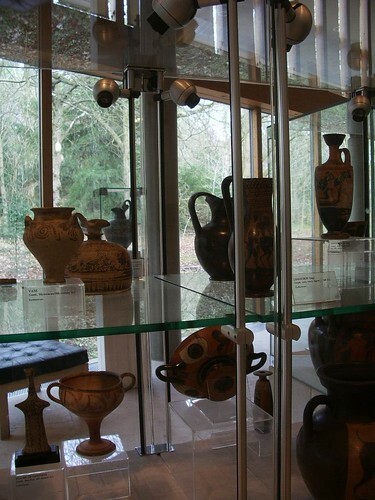 This is from the ancient Greek and Roman section of the collection. I liked that you can see through the display cabinet to the trees in the park outside, ancient and living in close proximity. 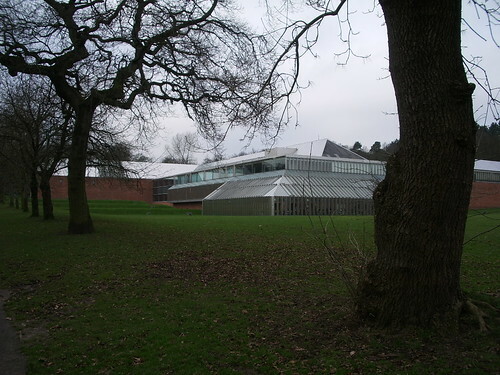 The collection has quite an eccentric history – after receiving the gift in 1944, the city council couldn’t decide what to do with it, so it was put in a warehouse and forgotten about for over 30 years, before an architect was commissioned to design a purpose-built building to show the collection. 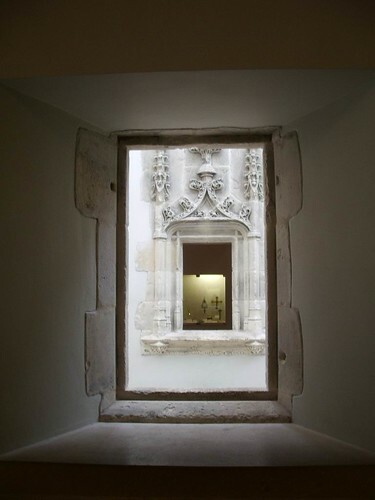 Some of the architectural features of the collection (massive medieval doorways and suchlike) are incorporated within the building itself. The collection featured around 8,000 items (of which 3,000 are on display at any one time) and it has since purchased other items to add to the collection, which is of artefacts from ancient Rome and Greece, Gothic stuff from Europe, ancient Chinese pottery, Islamic pottery and tapestries, stained glass and all sorts of stuff. The entrance courtyard also features a number of Rodin sculptures. Over the next few days I’ll show you some pictures I took inside when I went there the other weekend, but today this is the view you have of the specially built home of the collection as you approach walking through Pollok Park. 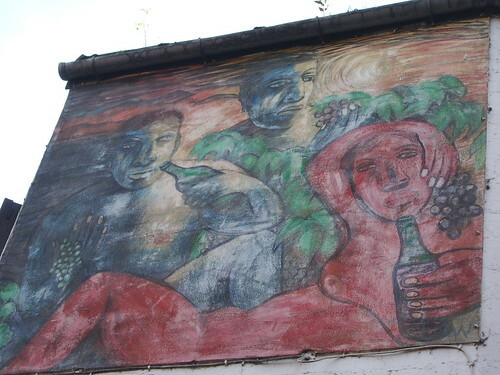 This sort of outdoor fresco is the sort of thing I’d expect to see in a Mediterranean cafe or bar somewhere. It’s actually over the Ubiquitous Chip in Ashton Lane – near the junction with Byres Road. 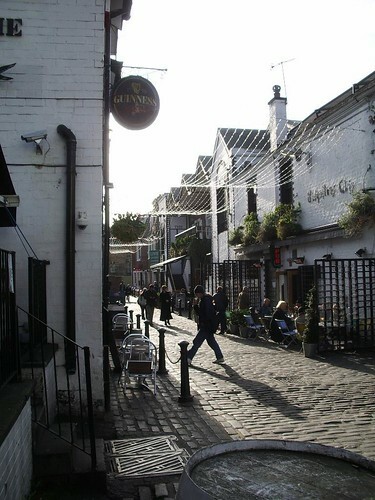 Nestled between Byres Road and some of the university buildings in the west end is Ashton Lane, which is unlike any other street I’ve seen in Glasgow. Cobbled street, whitewashed buildings – it’s mostly home to bars and restaurants, but it also has a small cinema, the Grosvenor. On the left you can see Jinty McGinty’s Irish pub, and on the right is the Ubiquitous Chip. I like the feel of Ashton Lane, it doesn’t feel like a city street at all. It looks lovely at night with all the little lights on (you can probably see them hanging over the street). Unfortunately I’ve never managed to get a decent photo of it at night, but now that I have a gorillapod to steady my camera I might try again sometime. The sky certainly hasn’t been this beautiful blue this week – it’s been utterly dreich (what a great Scottish word that is!). But this was only taken last week, I really don’t think the weather can make up its mind what it’s doing. This is the tower of the abandoned Coliseum building I showed yesterday. The building has been abandoned as long as I’ve been in Glasgow (two and a half years), and judging by the plants you can see growing in the brickwork, it’s been empty an awful lot longer than that! I don’t know if there are any plans to do anything with it – a lot of the old cinemas have been turned into concert venues (such as the Carling Academy just over the road from here). Certainly I’ve never seen any signs of anything being done with it, so it just sits there forlornly. 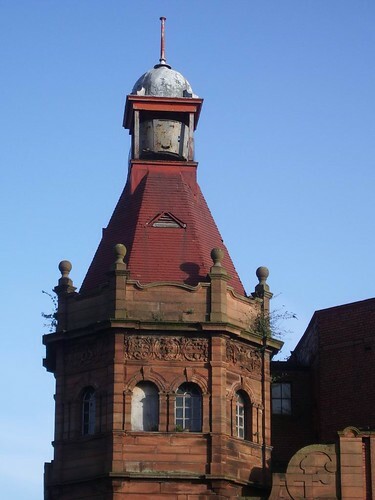 I hope something can be done to restore it to former glories – it seems a shame to leave such a grand building empty and at the mercy of the elements. 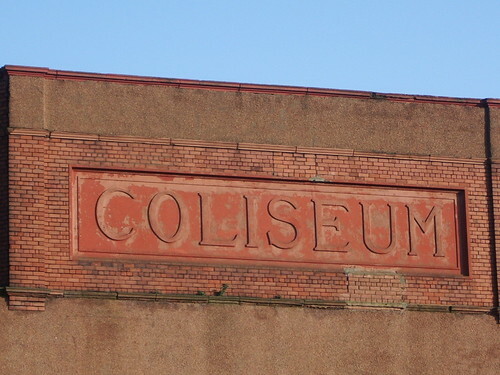 No, this isn’t Rome Daily Photo – the Coliseum on the south side of Glasgow is an abandoned Bingo Hall, as far as I can tell, so not quite as glamorous or impressive as its more famous namesake. I like the old signage that still remains. Tomorrow I’ll show you another bit of the building (I made the most of the rare blue sky the other day, and took a few pictures as the red brick against the blue sky looked so lovely!). 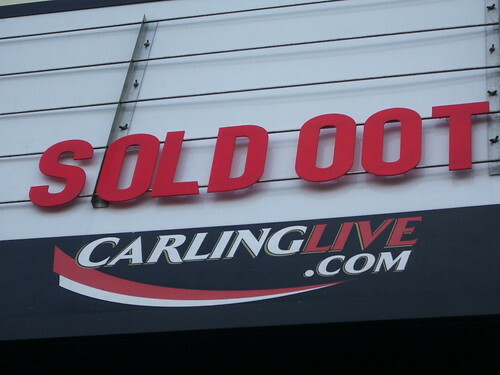 Every time I go past the Carling Academy on the bus I always check to see who’s playing and how well the tickets are selling. If they’ve sold out they often put up this little message on the front, which always makes me smile.